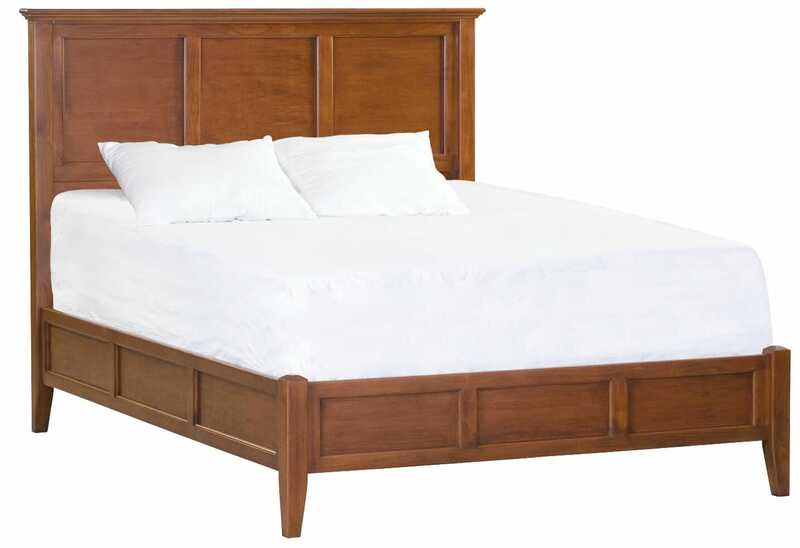 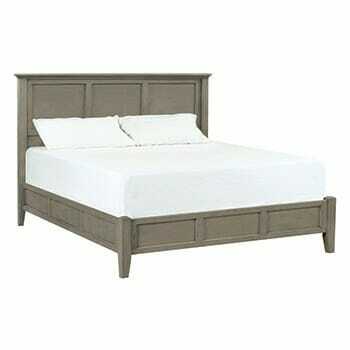 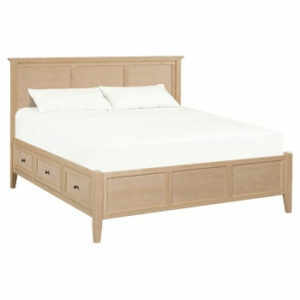 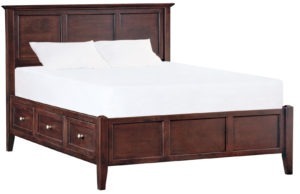 Model number 1349 McKenzie king bed by Whittier Wood Products. 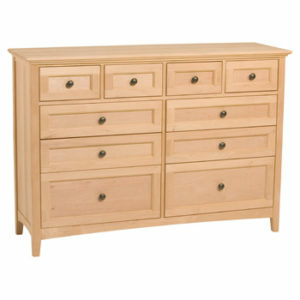 Enrich your life with the McKenzie collection. 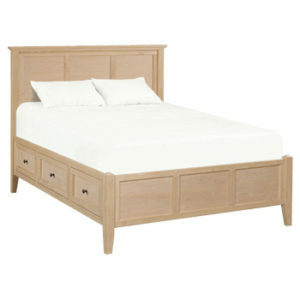 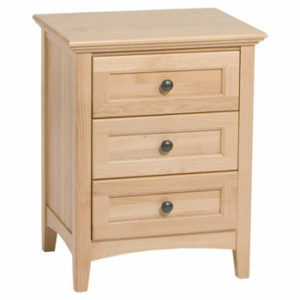 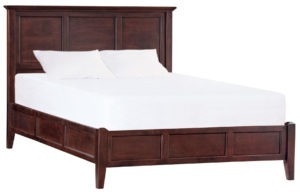 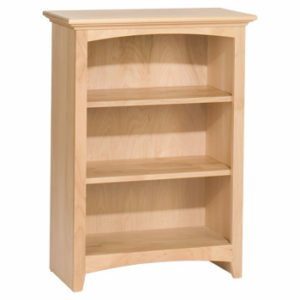 Made from sustainable, high quality American alder wood, this versatile bed will steal the show of any bedroom. 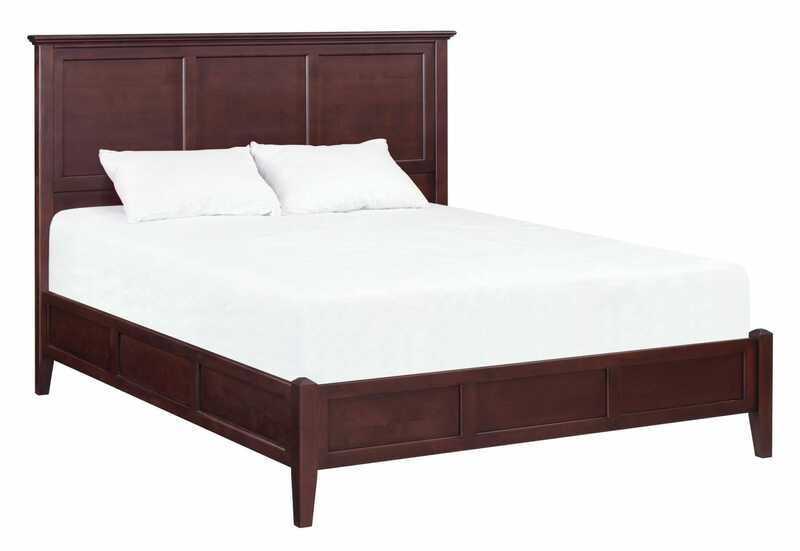 Its clean, sleek design features such as inset flat paneling provide a timeless look and its classic craftsmanship ensures a lifetime of durability. 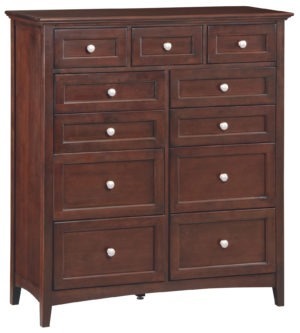 This unit comes partially assembled and is available finished in your choice of three stains: Glazed Antique Cherry, Fieldstone, and Caffe.